After touring extensively with his autobiographical solo show ¡Gaytino! Made in America, including performances at The Kennedy Center in DC, award-winning artist, educator and activist Dan Guerrero will bring his critically-acclaimed stage show to the screen via a multi-camera shoot planned for November, 2018 at Guerrero’s alma mater: East L.A. College. Written and performed by Guerrero, the multi-textured performance piece, originally produced by the Center Theatre Group, has been described as a “live stage documentary” because of its historic and educational relevance. The play with music travels through decades of Mexican-American/Chicano history and the gay experience told from Guerrero’s unique personal perspective. Watch ¡Gaytino! on ABC7 Vista L.A. The son of the late Chicano music icon Lalo Guerrero, Dan wrote¡Gaytino! Made in Americato celebrate his father’s life and legacy as well as that of his life-long boyhood friend the late visual artist Carlos Almaraz. These two extraordinary men were hugely influential in shaping Dan’s unique life. Those treasured relationships share the stage with the universal themes of self-identity, self-acceptance and coming of age. “I have long wanted to bring ¡Gaytino! Made in Americato a wider audience through film festival screenings, broadcast and online platforms,” says Guerrero. And, time is of the essence! I’m not getting any younger! So many Gaymigos wanted to support my dream, they talked me into the world of crowdfunding. It kicked off big time just last week and I’m very appreciative of the response.” Click here to help Dan bring ¡Gaytino! to audiences everywhere. The film will be accompanied by a study guide that explores both Mexican-American/Chicano and gay culture and history from Guerrero’s adolescence in 1950s East L.A., to the New York theatre scene of the 60s and 70s and back to his California roots where he became involved in the struggle for social justice in both the Latino and LGBTQ communities. The film and study guides will also be available to university and college libraries for study and archival purposes. The film will also become part of The Dan Guerrero Collection on Latino Entertainment and the Arts which has been established in the California Ethnic and Multicultural Archives at the University of California at Santa Barbara (UCSB) and in The Dan Guerrero Research Collection housed at the UCLA Chicano Studies Research Center that includes his oral history recorded for their LGBT and MujeresInitiative project. 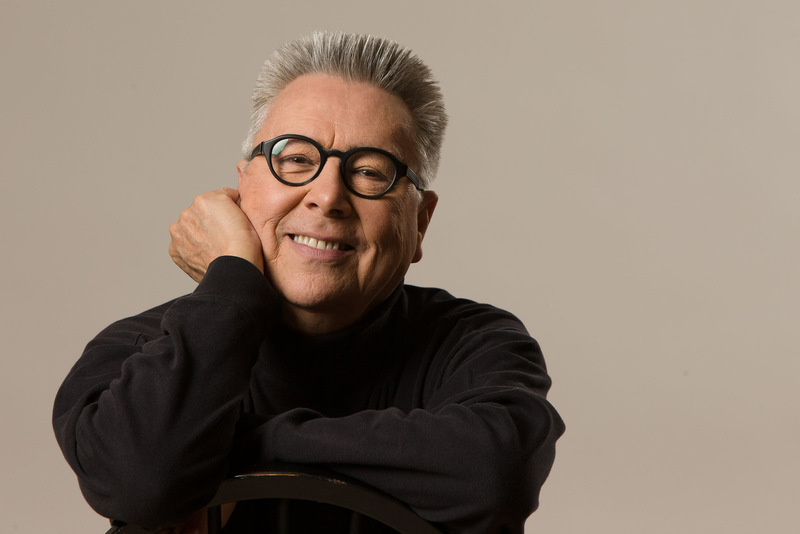 Guerrero has twice taught the course Gaytino: Performance and the Power of One at UCLA and was nominated and served as UC Regents’ Lecturer jointly at its Chicano and LGBTQ departments. Guerrero has long been an influential activist, speaking out in print, television and radio interviews in English and Spanish on both Latino/Chicano and LGBTQ issues. He is a popular figure on the speaking circuit and has addressed groups and organizations including the National Council of La Raza in Washington, D.C., the Southern Arizona LULAC Youth Leadership Conference in Tucson, the California Teachers Association Conference in Palm Springs and the National Education Association conference in Washington, DC among many others. He has been recognized for his activism and career achievements by many including the California State Senate, the U.S. House of Representatives, the National Gay & Lesbian Task Force, the National Council of La Raza, the California Legislature Assembly and the County of Los Angeles Board of Supervisors, in addition to industry honors that include an Imagen Award, an Honorary Local Emmy Award and an Alma Award nomination. The LA City Council also declared Dan Guerrero Day in the city of Los Angeles for his contributions to the city and he was honored at the LA Times Latinos de Hoy event at the Dolby Theater with the inaugural LGBT Ambassador Award. More information.